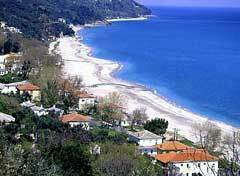 Situated on the eastern slopes of Pelion (it is the port of Zagora) it is one of the most impressive and beautiful beaches found in the area. Excellent for a beach holiday. All houses are built in the traditional style with slate roofs. 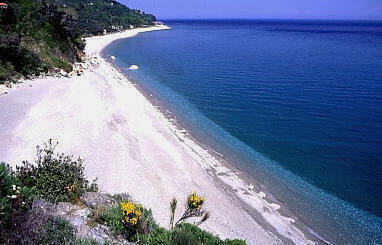 It is an ideal place for fishing while the natural beauty attracts every visitor. It was once a great harbour were ships from Zagora set out on the journey to the big markets of Europe and the East.